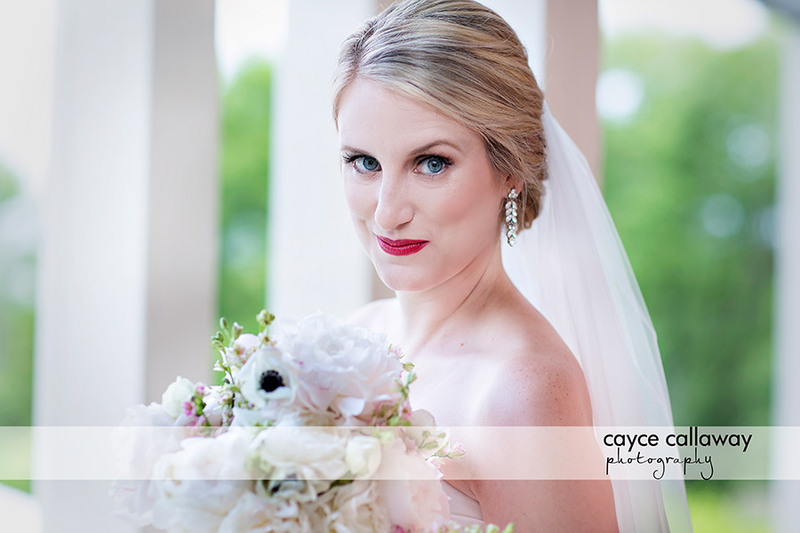 Cayce Callaway Photography Current Projects — Beautiful, Elegant wedding photography for metro Atlanta, GA and beyond . 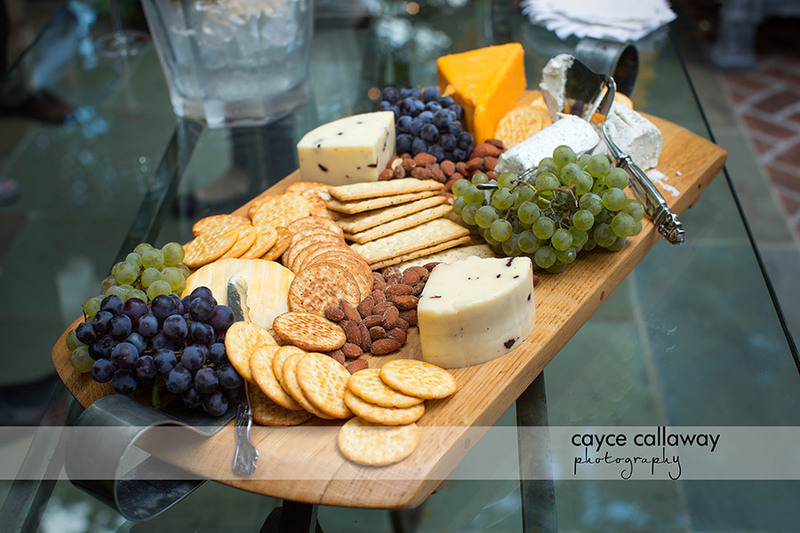 Current wedding and engagement photos by Cayce Callaway Photography for the Atlanta metro area. Wonderful Wedding Moments from 2016! I'm not great at keeping new work posted on my website or blog, but it doesn't mean I wasn't shooting some great weddings in 2016. I've put together a slideshow of moments from the last year that I hope you enjoy! 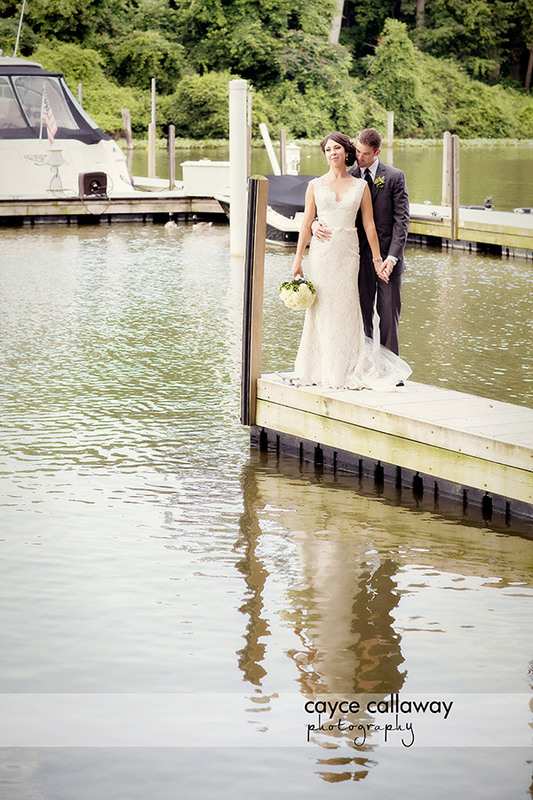 This was a beautiful wedding out on Lake Oconee at a rental house called Casa Banana 2 (funny name, right? ), a lovely location right on the water. Clearly they are set up for events, with the lakefront arbor, the gazebo and the tent and dance floor space. It made for a really great wedding for these two! June 13th was a stunning day in Dallas, GA, at Indigo Falls, about an hour outside of Atlanta. 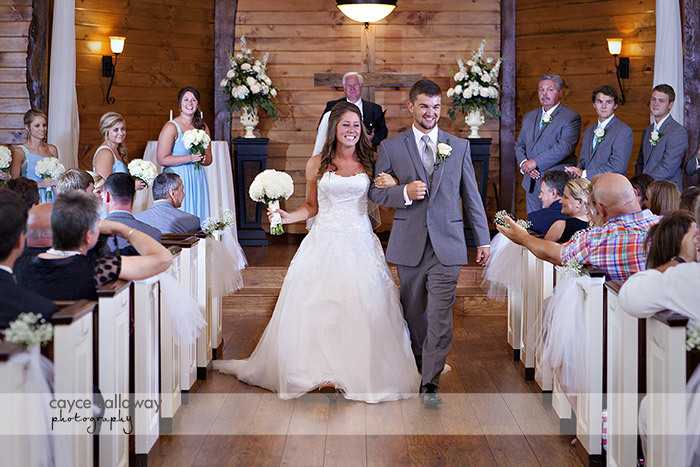 Kendra & Blake decided to forego the outside ceremony site for their June wedding and opt for the cooler inside chapel. The outdoor site is lovely, but the day was hot enough that everyone would have melted a bit! 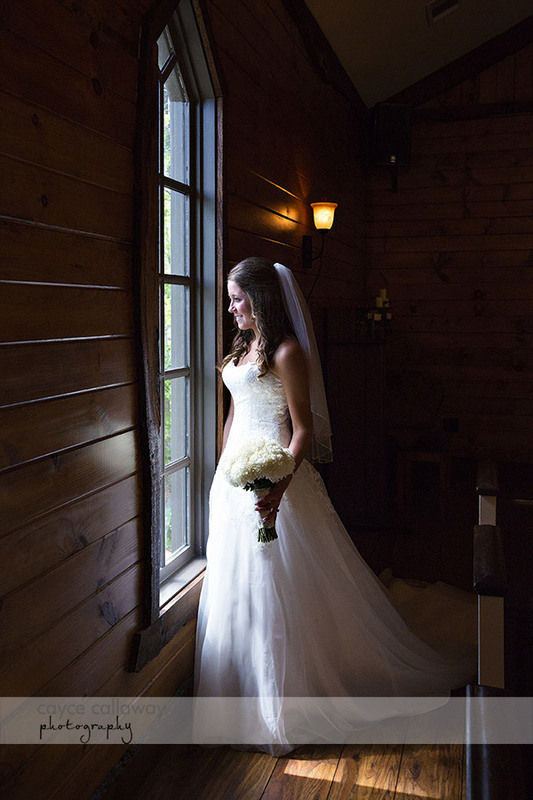 It was a great option as the chapel is a lovely rustic setting perfect for a summer wedding. Enjoy the photos! I know everyone certainly enjoyed the day. I'm pretty excited about the Supreme Court ruling bringing gay marriage to Georgia. As I've said before, I've worked with a number of gay couples over the years on ceremony and engagement photos, but all of them have had to leave the state to get a "real" marriage license. That always seemed so sad to me. I can't imagine having had to jump through those kinds of hoops to marry my husband Matt. Now Georgia (and all states) must treat gay couples with the same dignity and respect as they do straight couples. It's a good day in America! As a long time wedding photographer, I'm carefully watching as the Supreme Court finally hears arguments today on the legality of gay marriage. When you've spent as many hours at weddings as I have you have a pretty good sense of the importance of this passage in the lives of the participants and their families. It's time to stop denying this important passage to our gay citizens. I've shot a number of gay weddings over the years as well as gay engagement photos and gay families. They are no less committed to each other and their children than any of the other couples with whom I've worked. In fact, the ceremonies are particularly emotional and poignant, because they've traveled a difficult road to get there. Take a moment and imagine, as you're planning your wedding, which I suspect you are currently doing, being told you can't legally marry your fiancee. Not now, not ever. How would that make you feel? Of course you could go and have a wedding anyway, but you wouldn't be married at the end of it. It's the very definition of a second class citizen - those the government allows to marry and those they don't. The arguments will be heard today with a ruling expected by June. I'm raising a hopeful glass in a toast (of which I've shot many!) to what I hope will be a new day for our gay brothers and sisters in Georgia and across the country. As you might know if you follow me on Facebook or Twitter or read my blog, I've written a book on wedding planning from the point of view of a photographer who has seen a lot of weddings! 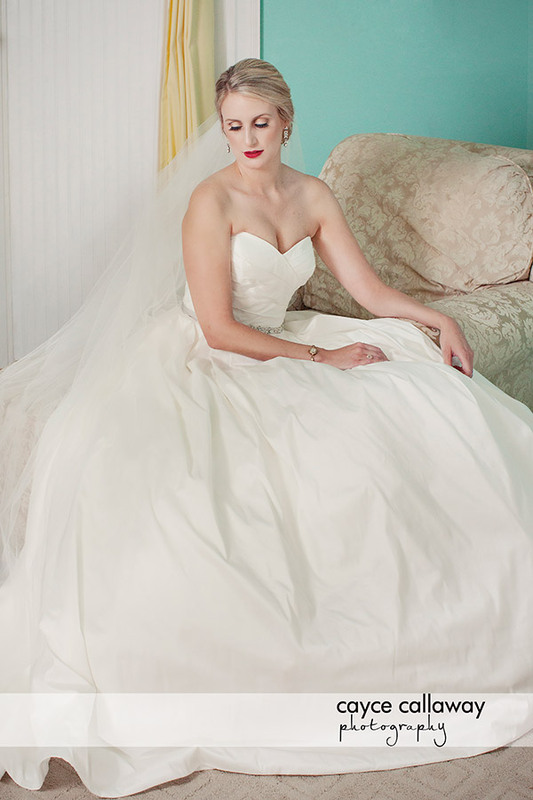 The book is chock full of practical tips about everything from choosing a gown to narrowing down your guest list. 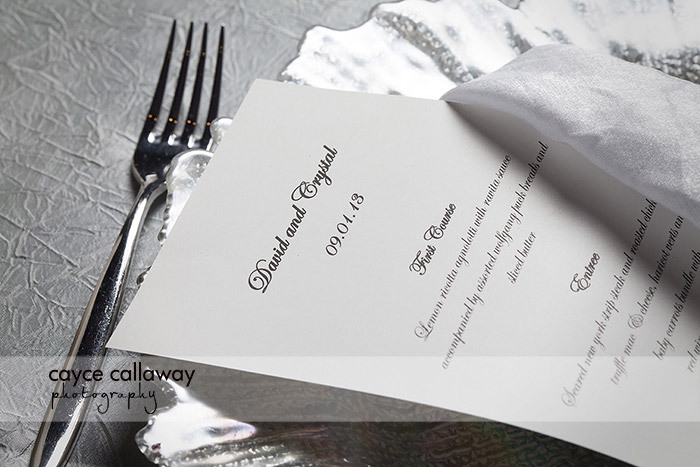 All of the information is designed to make your wedding look great and run smoothly - the goal for all wedding planning. The book is available on Amazon as a Kindle download (you don't need a kindle, you can read it on Kindle software on any device) as well as a audiobook on audible.com. 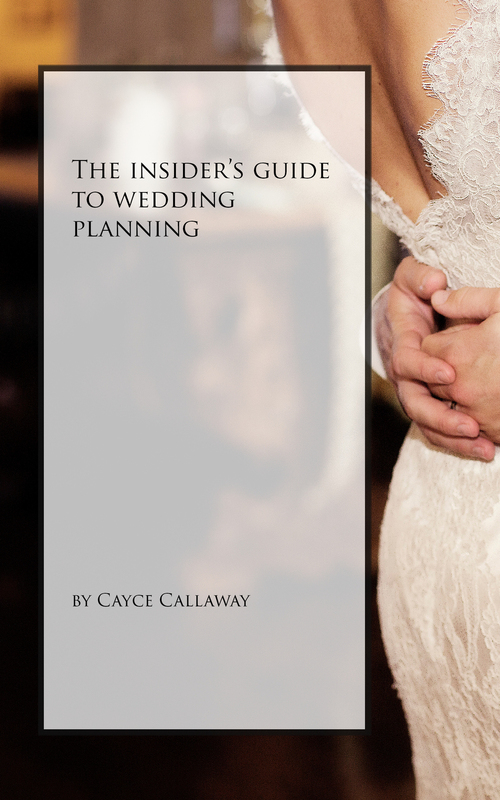 You'll find the kindle download of The Insider's Guide to Wedding Planning here and the audible version here. The kindle download is $2.99 and the audiobook is $4.86 or one credit if you're an audible member. If you're not, you can get the audiobook for free by signing up for a free 30 day trial at audible.com or click the same link and listen to part of the sample chapter on wedding dress shopping for free as well.. 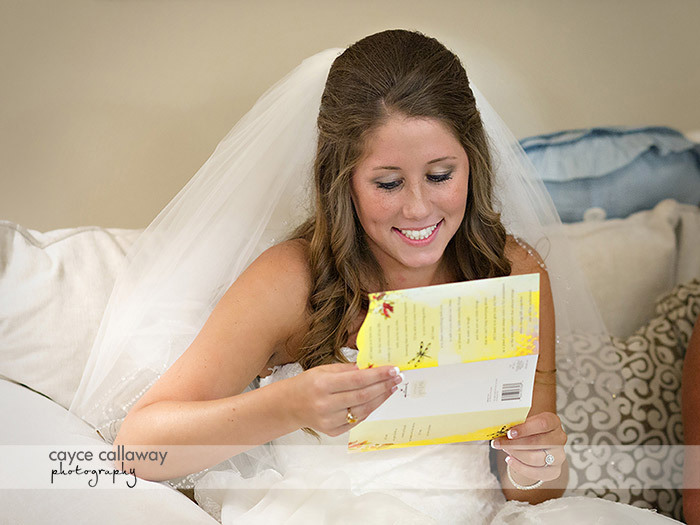 I thought it might be nice to give you a taste of the book by excerpting part of the chapter on wedding photography. If you have questions about what you read, please feel free to contact me! 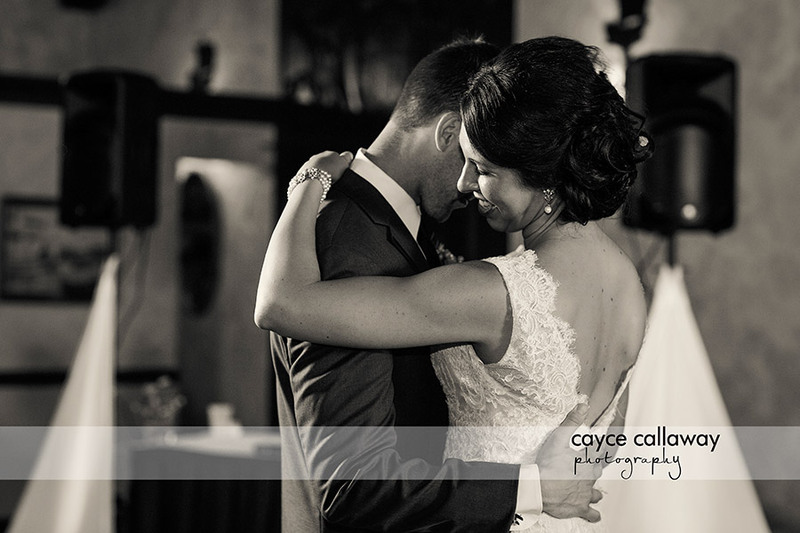 "Which brings me to the most important aspect of choosing a wedding photographer - your eyes. What you see is what you get (WYSIWYG). Photographers are often very good at talking, but no amount of explaining what they do beats looking at the images themselves. Unfortunately, unless you're being coached by a photographer friend (who knows what they need to look for), no one ever shows you everything you need to see. 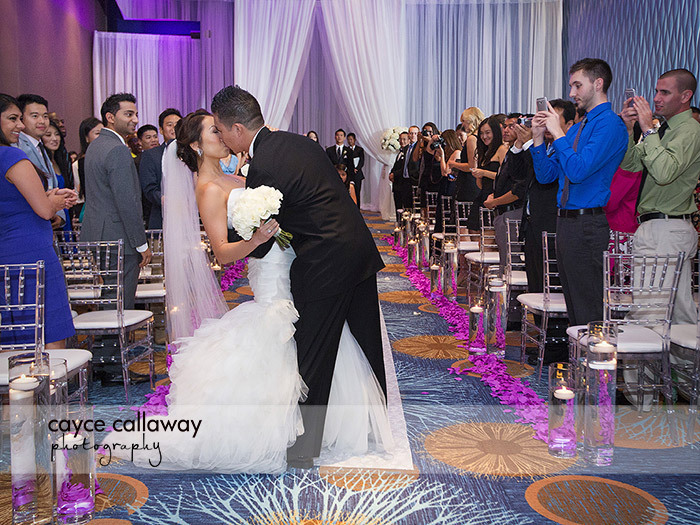 If there's a big secret to choosing the right photographer, this is it.What we put on our websites is our best work. Of course, right? 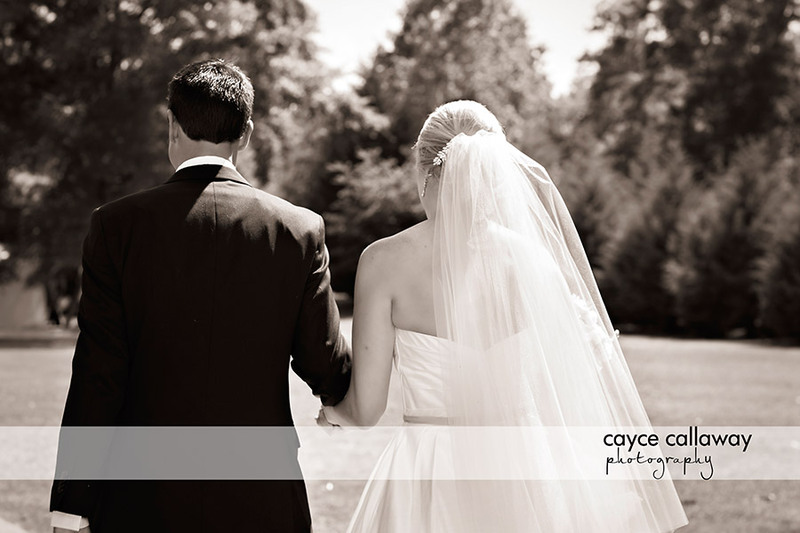 But a wedding day is very long and goes from day to night in most instances. You might find a photographer who has perfect images when the lighting is just right, but really falls off when it gets dark. So which images do you think she's going to show on her website or in his sample albums? Would you choose a venue if they didn't allow you to look at the inside even if the outside was beautiful? Would you order a cake you hadn't tasted? Why would you settle for only seeing part of what a photographer can do when those skills are so important to the images you're going to have for a lifetime? 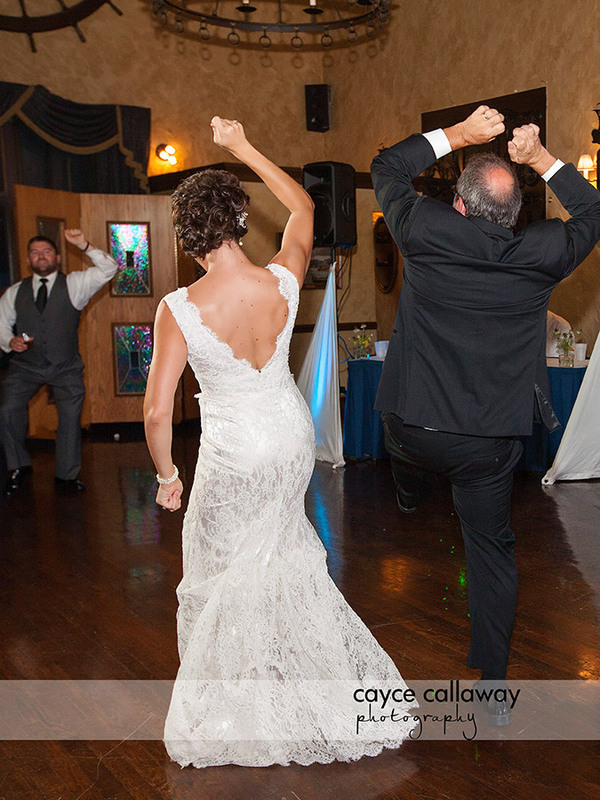 You have to ask to see it all - full galleries of full weddings. The very same type of gallery you will be given after your wedding is over. If they have one from your venue, better still, but more importantly try to match time of day to the time of day of your wedding because lighting is the biggest skill set a photographer has and you need to see if they can pull it off through all your images. You will get push back when you ask for this. Many photographers will tell you it's a privacy issue or it's too many photos or, my personal favorite that I heard from a perspective client trying to see full galleries, "You don't want to see all those closed eyes." They were right! And you don't want to see them in your gallery either. Really good photographers are proud of their work and their skills and they don't like the fact the industry has been overrun with people who don't always know what they're doing. If someone doesn't want to show you a full gallery, there's probably a reason they don't want you to see it. Move on. And as for the privacy issue? I've had two couples in all my years of shooting weddings who asked me in advance to keep their images private and even they changed their minds after the wedding. Most are more than happy to help others make their decision. Why is this so important? Because photographers can be really good sales people. By and large we're pretty personable and can sell you on ourselves fairly easily. But you're not just hiring a person you want to hang out with or who your friends will think is cool, you're hiring someone who is going to document your wedding day and give you the images you'll be living with for the rest of your life. It's a big job and not everyone is good at it or can afford the right equipment. 1. Do a Google search in your area (you're likely to get thousands of responses) and talk to your friends who've gotten married in the last few years. Your venue and planner will also have a few suggestions. 2. Comb the websites and try to imagine yourself and your friends and family in their images. This is where style comes into play. 3. Narrow your list down to eight to ten photographers whose work and philosophy appeals to you. Read online reviews to get a feel for how they've treated other clients. 4. Get an idea if they're in your budget (a note on budgets below). Some have the prices posted on their websites, others will send them to you, while some will only give you a starting price. 5. Narrow your list down to four to six photographers. 6. Contact them and ask if your date is available and if they would be willing to send you 2 full galleries from weddings taken at a similar time and place to yours. If they're not available or they won't show you full galleries, then mark them off the list. 7. Go through the galleries the photographers sent you. There will be hundreds of images, so you'll have to look at them differently than their "best of" website galleries. The details and people in the shots won't be as meaningful to you as your own photos will be, but that's not really the point. You're looking for technical consistency, overall style and general quality. There's a big difference between someone who edits their images thoroughly and someone who just puts SOOC (straight out of the camera) photos into a gallery. If the image files are included in your package, you want to be able to make prints without them needing additional work. You don't have to look at every photo, but spot check throughout the day to make sure the photos are as good in the dark as they are in the day. Basically, you want to ask yourself if you would be happy with this gallery if it had been sent to you after your wedding. 8. Now (and not before!) take the photographers whose galleries you liked and contact them and ask to make an appointment. 9. Sit with them and get a feel for who they are on a personal level and ask them the questions below. It's important to like your photographer, you spend a lot of time with them, but it's secondary to the images they will be delivering. If you're choosing a package with an album or other product, look at the samples they have available. Again, the offerings between photographers can vary wildly. There's a big difference between a leather flush mount album and a photobook. You want to see what you'll be getting after the wedding. I promise you if you go through these steps faithfully, you won't be surprised by the images you receive after your wedding. No matter what your budget is (and especially if it's low!) you can use this method to find the best photographer you can afford. Which brings us to budget. 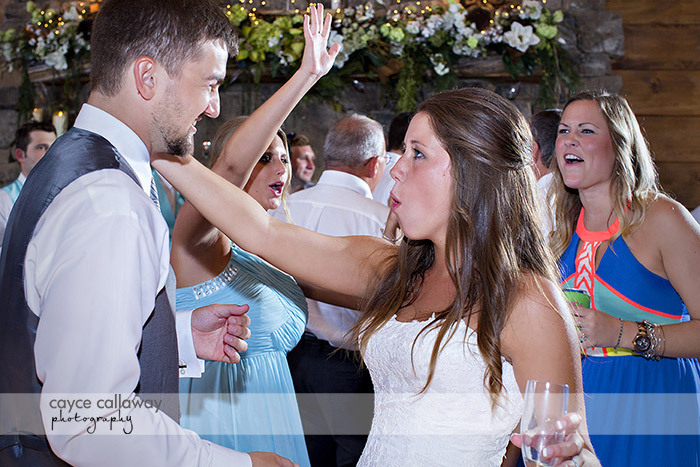 There's a lot of sticker shock when planning a wedding and photography is not immune to that. I've spoken to plenty of people who can't understand why wedding photography should run north of $2,500 (and way more depending on what you want). Again, this is my industry, so you would be forgiven if you thought I was being self-serving here, but running a real wedding photography business is very expensive. "How could that be?" you say. "You're just taking photos and putting them on a disc." And if that's all your photographer is doing then you might be right. But good photographers do a lot more than that. Professional looking photos require skill, experience and very good equipment. "My cousin has a good camera," you might say. Any maybe they have a decent consumer camera, but it's not same thing as a pro wedding camera which should run above $3,000. Getting images when the light is bad is equal parts know how and equipment. A good consumer camera simply won't do the job. And besides, one good pro camera is not enough. You need at least 2 and most photogs carry 3. It's not a matter of if your camera goes out, it's when. They don't last forever and your photographer needs to be able to turn around and pick up another one when it happens. You also need good lenses, not just the zoom that ships with the camera. Most good photographers I know carry 4-6 lenses to a wedding. They all serve a different function - from close up shots of the rings to wide views of the venue to photos taken with very low light (lenses work in conjunction with the camera), a one size fits all lens that does everything perfectly doesn't exist. When I walk into a wedding I have over $10,000 worth of gear hanging from my shoulders. Suddenly your cousin's $800 camera and kit lens doesn't look so good. I had a bride in a consult recently ask me why my photos looked really clear in the dark and other photos she had seen had little pixels showing up as dots. Good cameras and good glass (lenses). You can't do it well at all times of a wedding without it. In addition, even if your photographer largely shoots natural light, they need lighting on hand and the knowledge to use it to cover all situations that arise. This is where the gallery viewing is very important. How does the photographer handle low light situations? Many churches are dark and most receptions are as well. When the DJ's turn on the special lighting that's in your package, they turn off the lights in the venue. Make sure your faces are still clear and the venue can still be seen in the background. You also want a photographer who runs a real business which means they're insured, their equipment is insured and they're licensed with the state or city you live in. 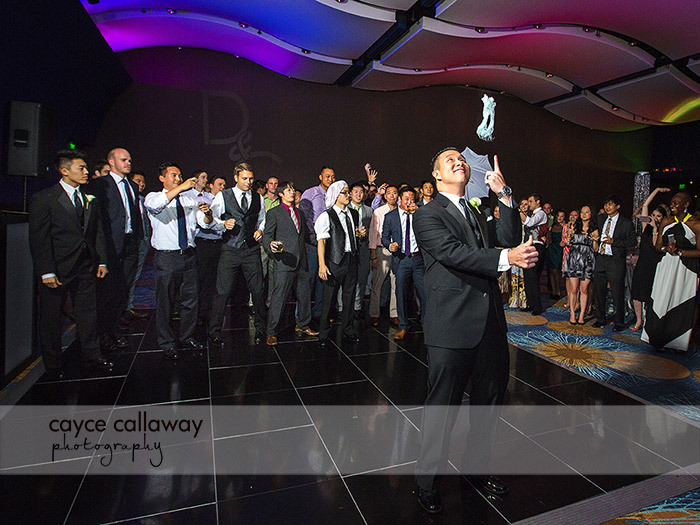 It's easy to charge less when you're mostly doing it on the side, but if someone gets hurt tripping over a light stand at your wedding, you want a photographer who has a solid liability policy and many venues require it. So my advice to you is to hire the best photographer you can afford. Not everything at your wedding has to be top of the line, but it's more important at the end of the day to have good wedding photos than to have poured premium liquor to your college friends all night. They'll have a good time no matter what they're drinking. I've seen enough of them. I can promise you that. Look for my new book! Promotional copy available for download 1/18-1/22! Like pretty much everyone else in the wedding industry, I've written a wedding planning book. But I do think mine has a unique perspective. 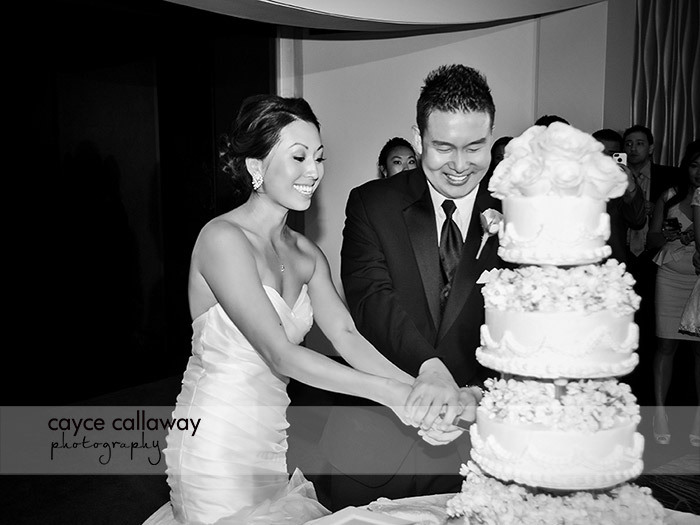 I've photographed over 165 weddings and I've seen a lot in that time. Much of it was wonderful, but some of it wasn't and I have a lot to share about what makes a wedding run smoothly and look beautiful. This isn't a checklist and budgeting kind of book. There are plenty of those out there with good solid information. 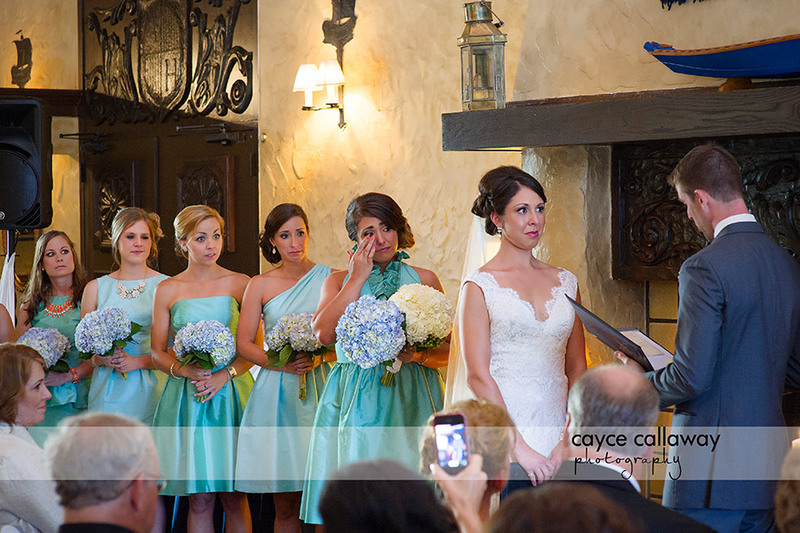 This is about the look of your wedding, from the way your dress fits to the way your attendants react to the day. There's a fair amount of practical advice as well, including the pitfalls of shopping for the perfect gown and how to choose the best photographer your budget allows. Starting Sunday, January 18, I'll be running promotion for early readers. You can pick up a free kindle edition on Amazon until Thursday, January 22nd (you can read this on any device, you'd don't need a kindle). If you like what you read, a review would be most appreciated! If there's something you'd like to know that's missing from the book, please send me an email and let me know. I'd love to make the book as useful and comprehensive as possible. I wrote this book because wedding planning has become such a big job that I see it overwhelming bride after bride. This should be one of the best days of your life and I want to help you get there with confidence and ease. So my second Agnes Scott alum wedding happened back in March as well (okay, so I tend to be a little behind...but it's because I work a lot!). Colleen and John got married on a beautiful March day at Our Lady of Assumption Catholic Church in Dunwoody and then moved over to beautiful Naylor Hall in Roswell where Sunny helped them put on a great reception. Colleen has 5 sisters, so she had a lot of help and a heap of love coming from her large family. 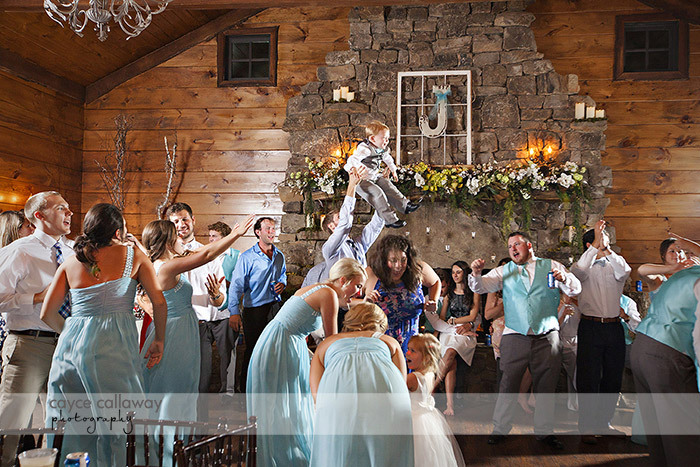 John has a few less siblings, but they were just as endeared with their totally sweet brother and his new wife. Naylor Hall is a lovely antebellum mansion in historic Roswell and Sunny, who runs it is really terrific at keeping the day rolling and everything looking magnificent. So the best of luck to Colleen and John! I'm often asked about different locations around Atlanta for engagement shoots. Piedmont Park is an obvious choice because it's lovely, has great cityscapes and lots of areas to shoot. It also has lots of people shooting there. On a recent Monday I ran into 4 other engagement sessions. Doe that mean you shouldn't shoot there? No, it's still one of the very best places in town to shoot. But it does mean that other Atlanta locations for engagement photos might also be worth a look. Here's an engagement session I did back in the Fall at the Old Fourth Ward Park here in Atlanta. It's a relatively new park off North Ave. and it's a nice place to shoot. L'Anda and Calvin are actually getting married this weekend up in Dahlonega at Monteluce (look for photos on this blog soon! ), so it seemed a great time to get back to blogging and show their engagement photos. For those who know me, you know I'm way better at shooting photos than I am at posting them to my blog and website. But periodically I attempt to turn over a new leaf and share some of the wonderful shoots I do on a weekly basis. 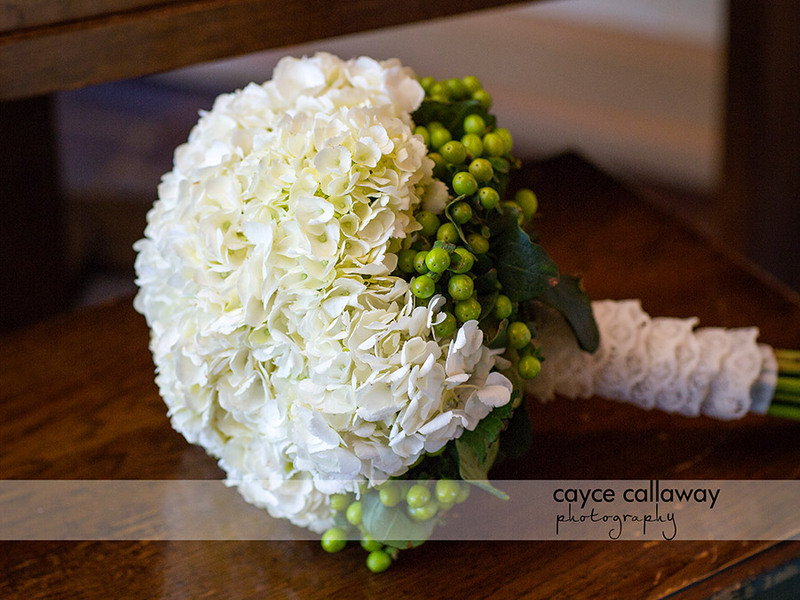 I thought this would be a great time to add a new post - the first wedding of this season. It was a particularly special one for me because I went to Agnes Scott with the bride's mother and was referred by another old friend from Scott who saw my work on facebook. Rachel and Nathan met when Rachel was a student at Agnes Scott and Nathan was at Tech (pretty common!). They are a super sweet couple and I enjoyed working with them immensely. They married on a beautiful spring day at the Agnes Scott chapel and we all road in a very long hummer limo for the reception at Georgian Terrace. All in all it was a great day with a wonderful group of friends on both sides. Good luck to both of you Rachel & Nathan! Along with all the full 8 hour weddings I do, I do quite a few of what I call mini weddings or small weddings. These typically take place during the week (although not always) and often only consist of me, the couple and the officiant. These small weddings are for clients who want to get married and have great photos and documentation of that, but for whatever reason don't want to do the full wedding. They have their own particular sweetness and I always feel honored to be a part of them. I've done a few of them of late and I'm going to showcase a couple on the blog to give ideas for those looking for a little something different with less coverage than the traditional wedding. 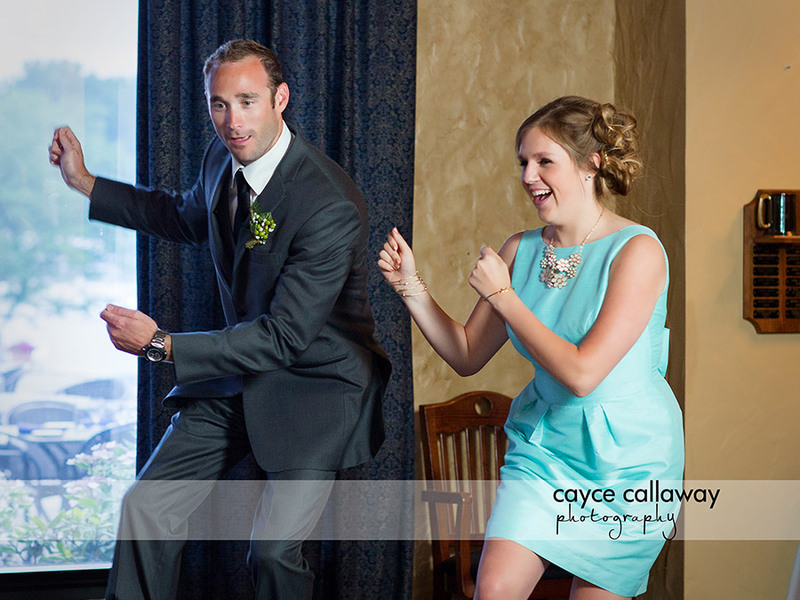 This was one particularly fun for me because I know the bride and groom. That happens to me periodically and it's always special. My husband Matt works in the wine industry with both Ashley and Anthony and we've watched them meet, dance around each other a bit and then pair up as a really great couple. They got married at the Decatur Courthouse by Judge Cash, who was simply wonderful. 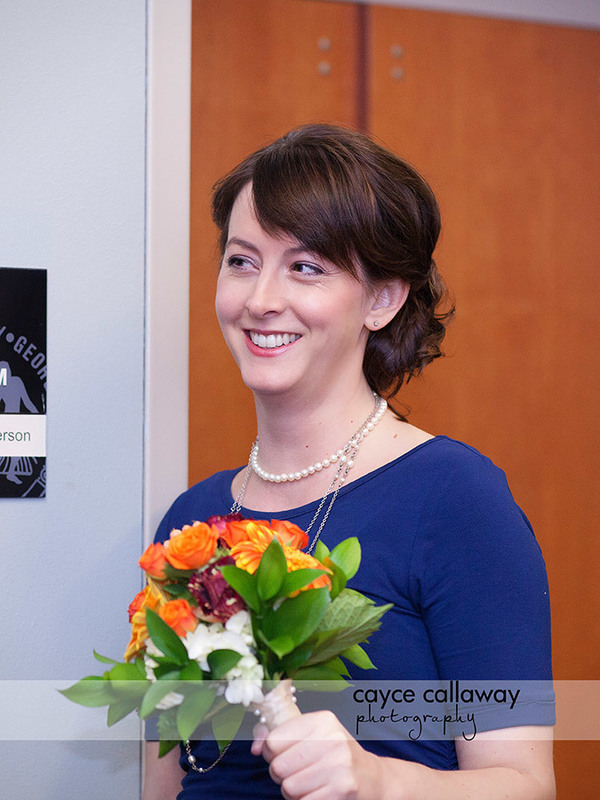 She took time with the ceremony and really gave it the importance it deserved. 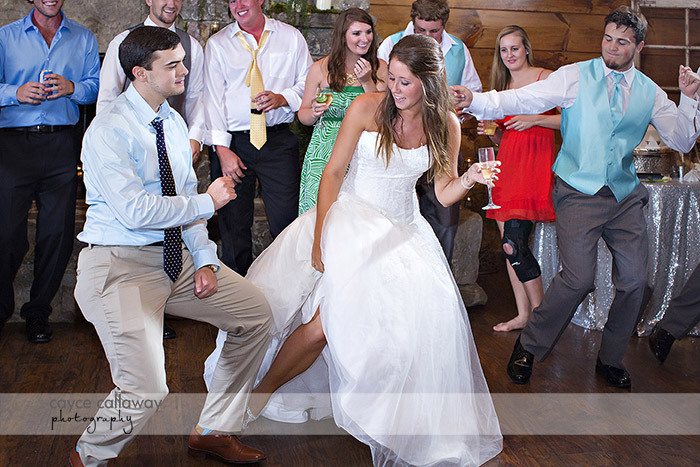 If you decide to get married in Decatur, be sure to ask when she's performing the weddings! We then shot some cute portraits in front of the old Decatur Courthouse and then went to Leon's for a toast of champagne that Mike Gallagher brought out for the happy couple. 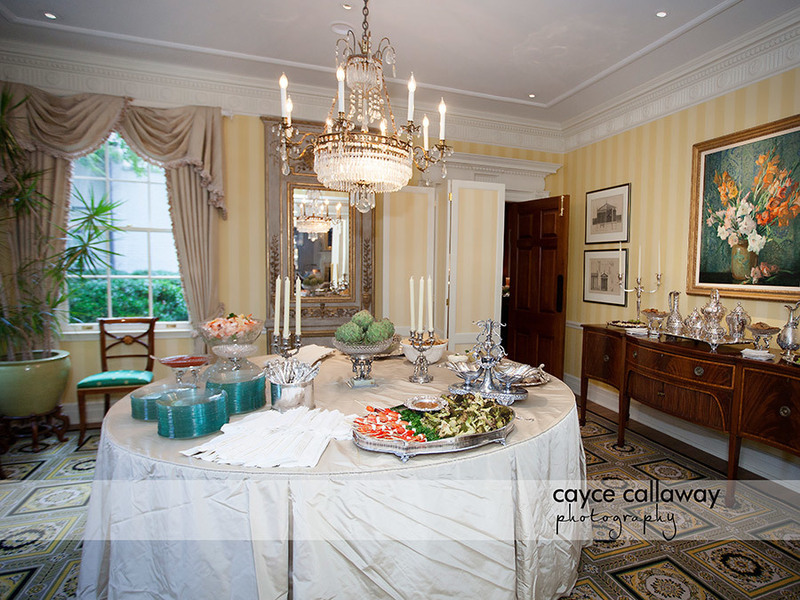 A week later, they had a wonderful reception at the home of a client and friend in Buckhead. 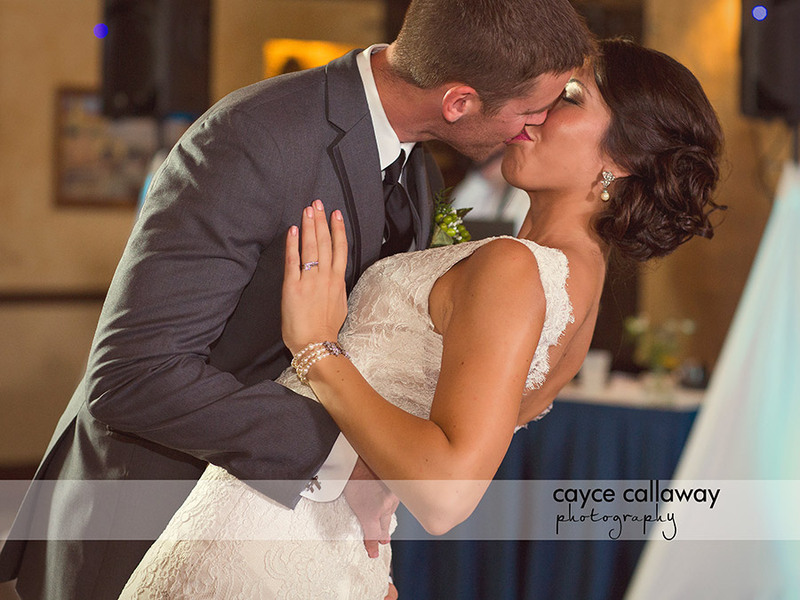 If you have additional questions about the mini weddings, please don't hesitate to give me a call at 404.210.0879 or email me at info@caycecallaway.com. Lauren & Joe have been living in Warner Robbins, GA where they're stationed while Joe is in the Air Force. Lauren and I worked together a few years ago and it was a great experience. When they're wedding came around they asked me to shoot their Piedmont Park engagement photos and we all had such a good time and the photos turned out so well they asked me to come to Cleveland, OH and shoot their wedding. I'm so glad they did! It was a really fun weekend. It was chock full of Ohio State fans and they couldn't have been nicer to this Atlanta girl. The venue, Mentor Harbor Yacht Club was right on Lake Erie just north of Cleveland and was lovely. I always love the opportunity to shoot near water since we don't have that much of it around here venue wise. Enjoy the photos! 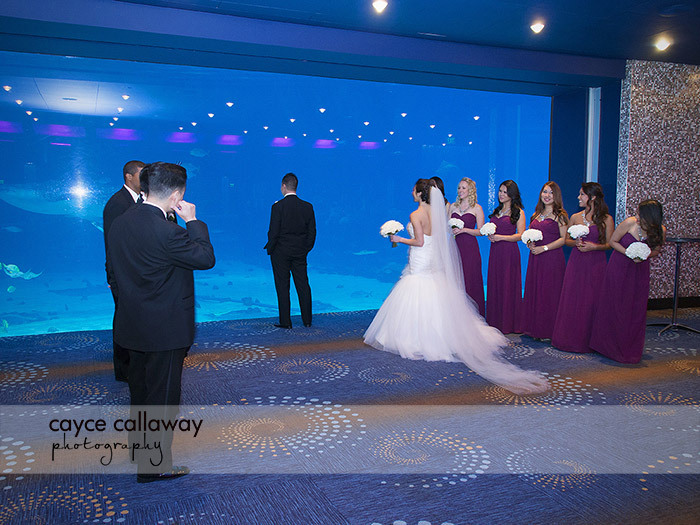 Crystal & David were married at the GA Aquarium in September and had a beautiful wedding! 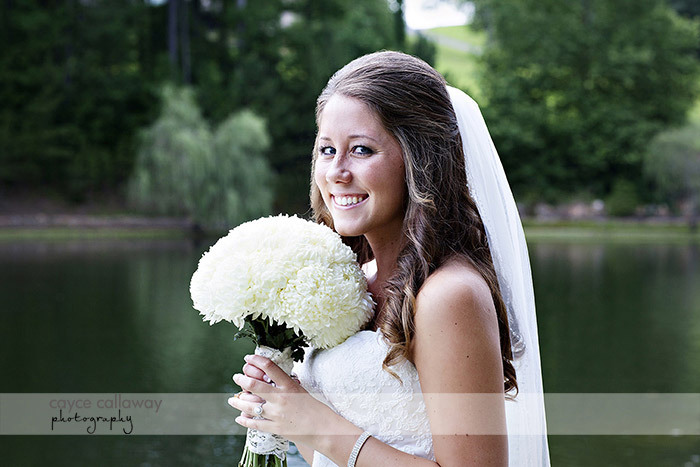 Hard to have anything different with a bride as pretty as Crystal. Enjoy the photos! So you're engaged (yay!) and the excitement of getting the ring has given way to the reality of planning a wedding. It can a bit daunting when you realize how many decisions you have to make and just how many choices you have. I'm going to address one of those choices in a series of posts called How to choose your Wedding Photographer. You'll find loads of articles with this title, but most of them weren't written by photographers, so while the recommendations are fine, they miss the mark on a lot of technical aspects of the search, which are very important when choosing someone to document your wedding day. 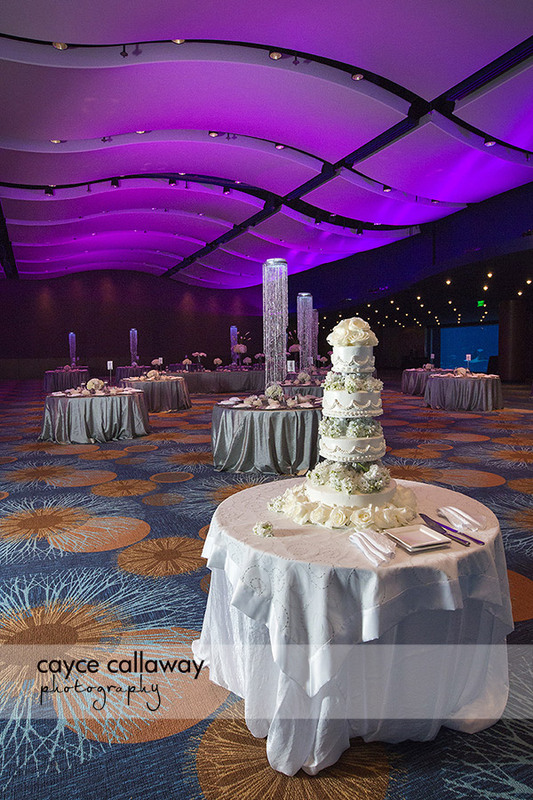 You've probably done some searching online and you can't believe how many wedding photographers there are in the metro Atlanta area (most of us can't either). How can you possibly make the right choice when there are so many options? I'm going to break down the types of photography you'll find in this first post and the pitfalls to watch for when making a decision about which type is right for your wedding. And then I'm going to tell you the best thing you can do to make sure your photos are exactly like you want them to be. Most of the wedding magazines and blogs will tell you the basic types of photography styles and a list of questions and send you on your way. But most wedding photographers don't fall cleanly into a given category and the descriptions can leave you confused at best and unhappy with your photos at worst. Traditional - This word sends creepy shivers down the spines of most modern couples. They have visions of their parent's wedding albums with people facing straight forward in front of the alter with flowers at their waists and uncomfortable expressions on their faces. Yuck, basically. In reality, it's actually much better than that and most photographers fall into a version of this category. What does it mean then? It means they capture the entire day as it unfolds taking special care with the big events. They pose their clients, they do family formals, they shoot details and they cover pretty much everything there is to see at the wedding. They may not call themselves traditional because no one wants to be thought of as stodgy and boring and most of them are not. But you'll be able to tell that by looking at their photos. Photojournalistic - This category is also misunderstood. Most blogs and magazines would have you believe that PJ shooters are the only ones who shoot candid moments at a wedding and capture the day as it's unfolding. The truth is, most photographers do this for much of the day. 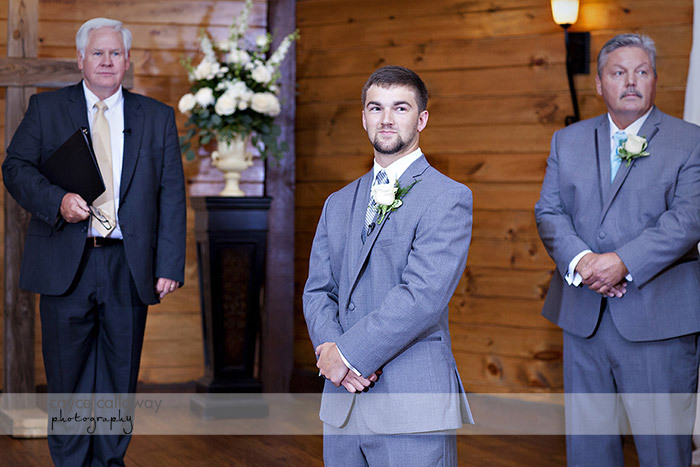 The big difference between a true PJ shooter and a more traditional wedding photographer is with the portraits. A real PJ shooter doesn't set up portraits. They capture the portraits of the bride and groom and everyone else (including families) as the day is happening. It's just like they're shooting journalism for a paper - they don't interfere with the day at all, they're simply there to document. Good PJ shooters are amazing, bad ones are just traditional photographers who are afraid of posing. Every area, including Atlanta, has a few really good PJ shooters and lots of not so good ones. This is one of those categories where you have to ask yourself if you're cool with no posed portraits. 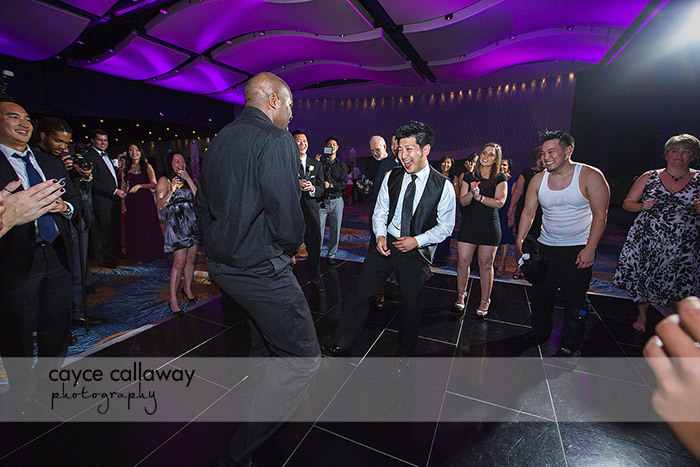 Also, make sure your families and wedding party members aren't going to be surprised when there's no time set aside to do the big group shots. It's not fair to a good photojournalism photographer to expect them to pose you (and then think their bad if they don't) and the good ones are very clear on this. Unfortunately, the not so good ones will simply tell you to, "go over there and do something." Way lame. Try to avoid one of those. 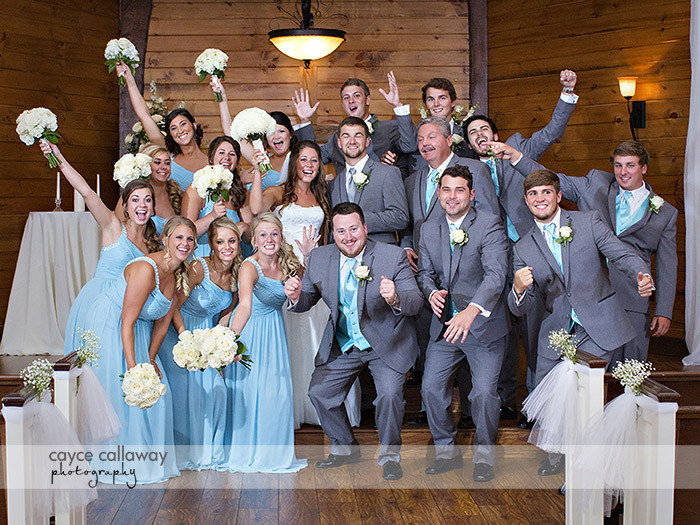 Most wedding photographers are a combination of the two types. They pose their clients and shoot journalistic type photos during the rest of the day. Stylistically, however, they can vary quiet a lot. 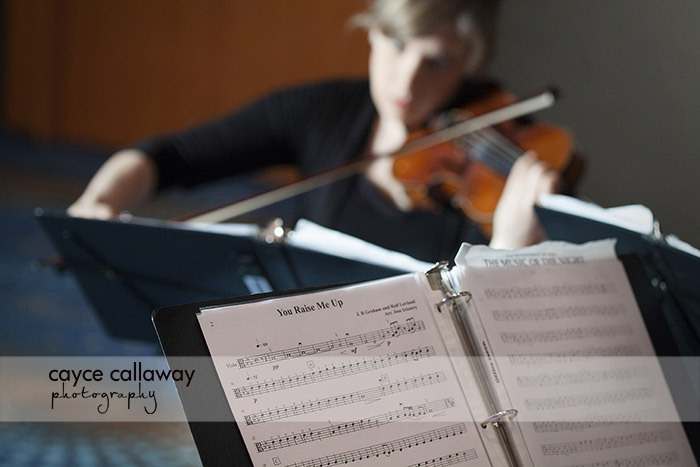 Just like trends in fashion, decor and music can come and go, trends in wedding photography likewise shift and change. With the advent of digital photography, there are loads of Photoshop actions and tricks that can change the look of the images you receive. By and large, that's a good thing for you. You get some interesting and different photos in the mix. But be careful in choosing someone who is all trend. Just like you don't want to be wearing the same shoes 10 years from now, you don't want to have your wedding photos enshrined in the current look of the day. For the past 5 years or so the trend has been vintage. 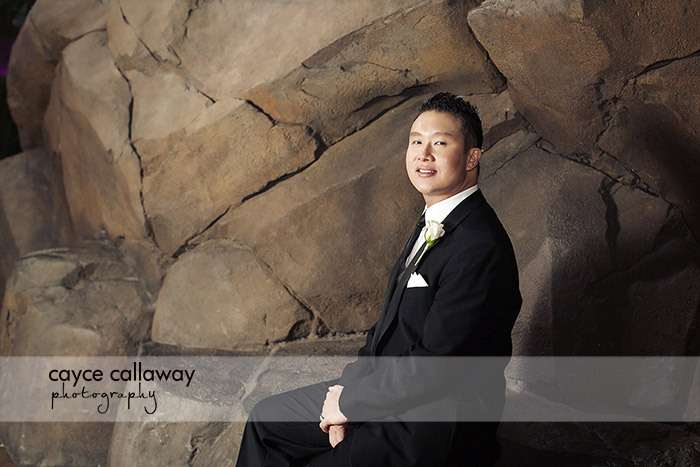 Soft focus, yellowy looking images with dreamy flare lighting has dominated the contemporary wedding photo scene. There's nothing wrong with that, but try to choose a photographer who incorporates that look into a broader neutral styling so you don't end up cringing later in life when the trend has shifted to something else. Photographers will often describe themselves as artistic when they refer to their style. People with an art photography background or a fashion sensibility bring their own style to the day. They know how to pose you so you don't look stiff and they shoot your decor and details with an eye toward the artistry of the shot. But you don't have to take someone's word for this. Just look at their photos and you'll be able to see. You're going to hear this a lot from me. 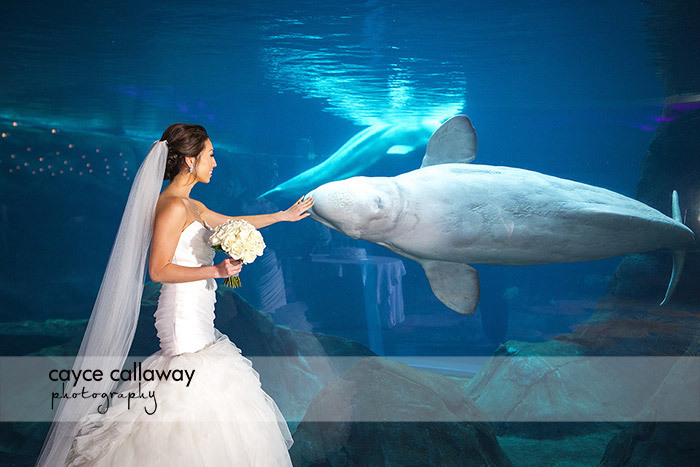 Wedding photography is the ultimate in what you see is what you get (WYSIWYG). But you have to know what to ask to see. If there's a big secret to choosing the right photographer for you, this is it. What we put on our websites is our best work. Of course, right? 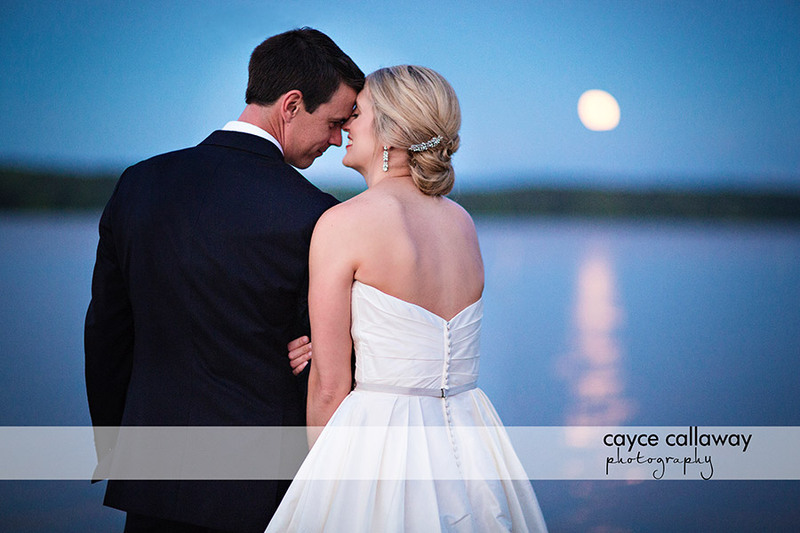 But a wedding day is very long and goes from day to night in most instances. You might find a photographer who has perfect images when the lighting is just right, but really falls off when it gets dark. So which images do you think she's going to show on her website or in her sample albums? 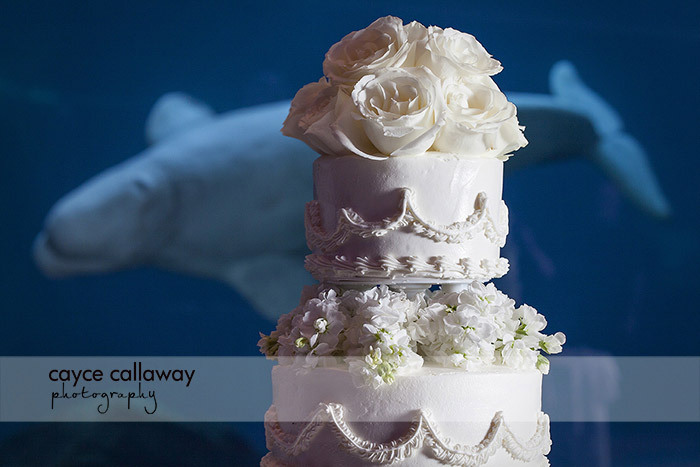 You taste the cake, you taste the food, you look at the venue, you try on the dress, why would you settle for only seeing part of what a photographer can do when those skills are so important to the images you're going to have for a lifetime? 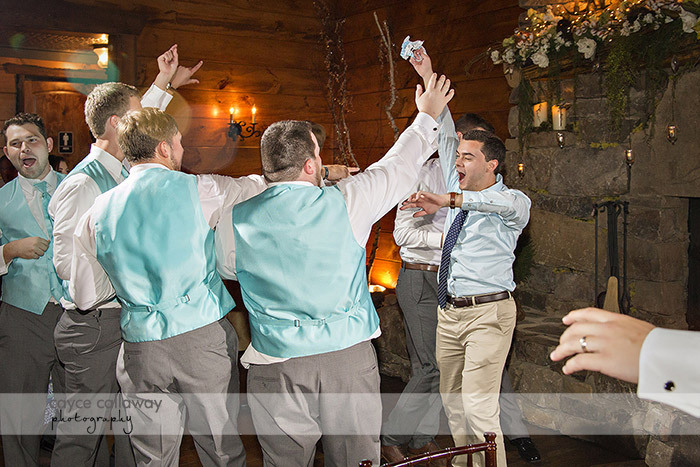 You have to ask to see it all - full galleries of full weddings. You will get push back when you ask for this. They'll tell you it's a privacy issue or it's too many photos or, my personal favorite that I heard from a perspective client trying to see full galleries, "You don't want to see all those closed eyes." They were right! And you don't want to see them in your gallery either. Really good photographers are proud of their work and they don't like the fact the industry has been overrun with people who don't always know what they're doing. If someone doesn't want to show you a full gallery, there's probably a reason they don't want you to see it. Move on. And as for the privacy issue? 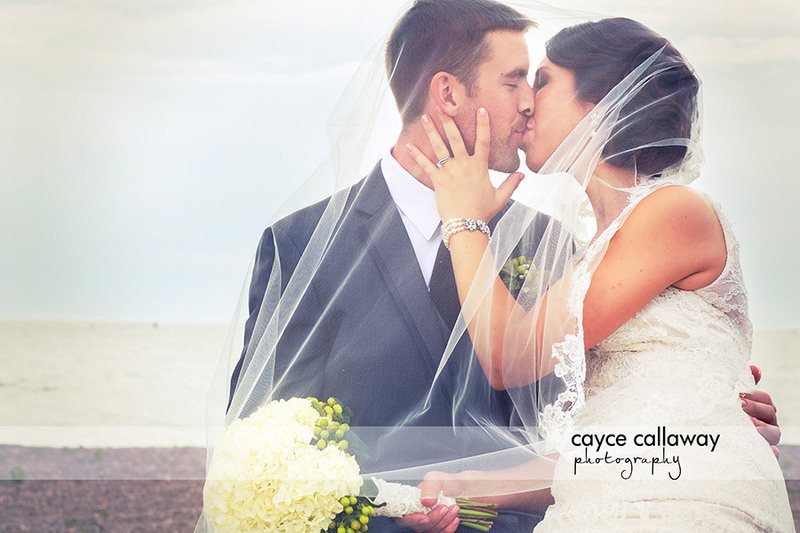 I've had two couples in years of shooting who asked me in advance to keep their images private after the wedding. Most are more than happy to help others make their decision. My next post on this topic will give you a list of steps to take and questions to ask after you've narrowed down your search by type and by looking at full galleries. 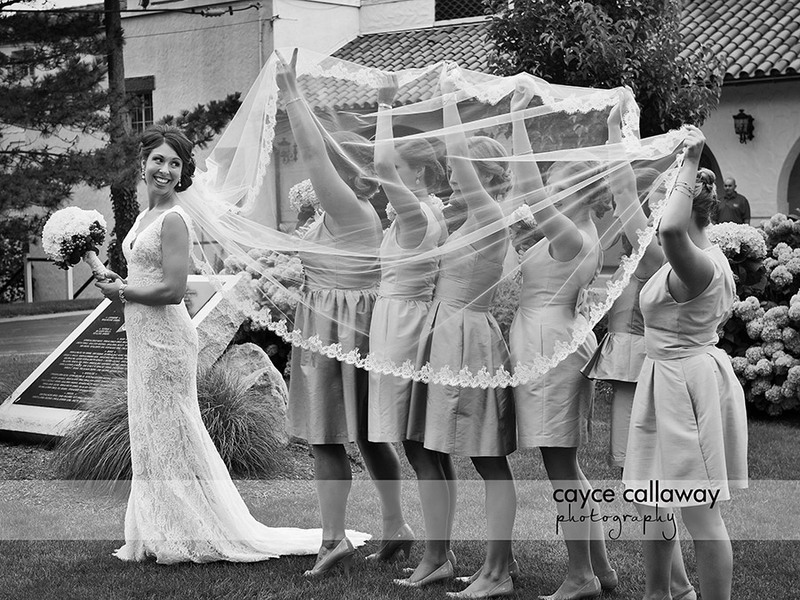 And if you have questions or would like to talk to me about your Atlanta or destination wedding, just email me at info@caycecallaway.com or shoot me a text or call me at 404.210.0879.